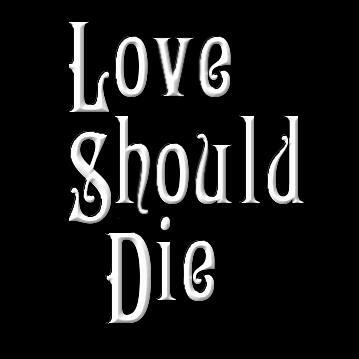 ‘Love Should Die' is the largest online community relating to Andrew Lloyd Webber's trainwreck of a show, LOVE NEVER DIES, a non-awaited and ludicrous sequel to THE PHANTOM OF THE OPERA that bastardizes the original story. If you’re new to LSD, visit the Press Reviews section for never ending, unedited negative reviews from world renown theatre critics, the Audience Review section for audience reactions, and The Show section to learn more about Love Never Dies and why thousands of people dislike the show. July 2018 - Love Never Dies North American Tour continues to open to negative reviews, dismal ticket sales, and audience disbelief! April 2012 - Originally slated for a 20 week run, the Sydney production of LOVE NEVER DIES closes after a short 12 weeks! ​January 2012 - Love Never Dies opens in Sydney to negative reviews! December 2011 - Melbourne production closes after a short unsuccessful run at the Regent Theatre. August 2011 - LOVE NEVER DIES closes in London’s West End after a failed run at the Adelphi Theatre. The LSD Team issue a statement about the campaign and its impact on the sequel. Contrary to what Andrew Lloyd Webber wants you to think, we are not a ‘hate’ campaign, nor do not intentionally mislead anyone with our site or communications. We simply provide a platform for those who wish to voice their dislike towards the sequel. We repost/feature news articles and the hundreds of reviews (the ones Lloyd Webber don’t want you to see) by world-renowned theatre critics, fans, and regular theatregoers. Each piece is linked back to the original source and we credit the original author. We aim to provide a platform for the many people out there who maintain that LOVE NEVER DIES should have never been given the green light and who are disappointed & disillusioned by the decisions of Lloyd Webber, his creative team & the Really Useful Group manipulating The Phantom Of The Opera story.